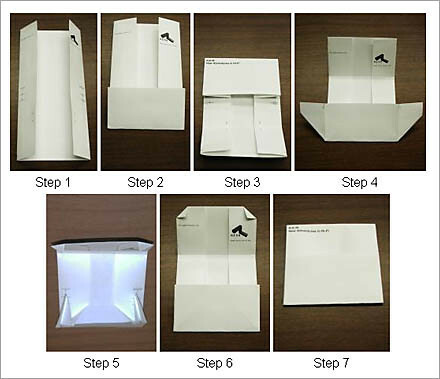 Stumbled across this nice little site that tells you how tofold paper to make an origami CD case. The site gives you seven easy to follow steps complete with pictures. The take it a step further by giving you a form that you can complete to get the title anbd tracklisting on the case. The advanced page has a few graphics and a place to enter in an address field making them great for posting to people. When you submit the form it send you back the page as a PDF so that you can print it out complete with fold lines. What more could you ask for?